how to get 2 pounds of chocolate home from the store in a hot car. appetite and you'll eat less. 2) If I eat equal amounts of dark chocolate and white chocolate, is that a balanced diet? Don't they actually counteract each other? 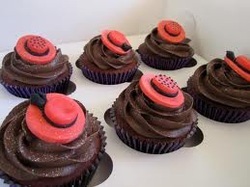 3) Chocolate has many preservatives. 4) Put "eat chocolate" at the top of your list of things to do today. 6) If not for chocolate, there would be no need for control top pantyhose. An entire garment industry would be devastated. You can't let that happen, can you? "Stressed" spelled backwards is "desserts." If I eat equal amounts of dark chocolate and white chocolate, is that a balanced diet? Don't they actually counteract each other? Money talks. Chocolate sings. Chocolate has many preservatives. Preservatives make you look younger! Q: Why is there no such organization as Chocoholics Anonymous? A: Because no one wants to quit! Put "eat chocolate" at the top of your list of things to do today. That way, at least you'll get one thing done today. The Chocoholics 12-step program : NEVER BE MORE THAN 12 STEPS AWAY FROM CHOCOLATE!! Chocolate is made from plants, which means it contains many of the health benefits of dark vegetables. These benefits are from flavonoids, which act as antioxidants. Antioxidants protect the body from aging caused by free radicals, which can cause damage that leads to heart disease. contains a large number of antioxidants (nearly 8 times the number found in strawberries). it helps relax blood pressure and balance certain hormones in the body. good for your heart. A small bar of it everyday can help keep your heart and cardiovascular system running well. only 1/3 of the fat in dark chocolate is bad for you. Chocolate Tip 1 - 3.5 ounces, of dark chocolate a day to get the benefits. 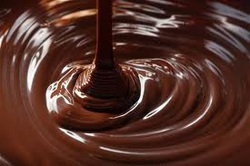 Chocolate Tip 3 - Go for Dark Chocolate it has 65 percent or higher cocoa content. Chocolate Tip 4 - look for pure dark chocolate or dark chocolate with nuts, orange peel or other flavorings. Chocolate Tip 5 - Avoid Milk a glass of milk could prevent the antioxidants being absorbed or used by your body. Woman and the Bathroom Trip! Every stall is occupied. Finally, a door opens and you dash in, nearly knocking down the woman leaving the stall. you are about to wet your pants! The dispenser for the modern "seat covers"
muscles be gin to shake. so you hold "The Stance." you would have KNOWN there was no toilet paper!" nose on yesterday, the one that's still in your purse. You bolt knowing all too well that it's too late. not that there was any, even if you had taken time to try. and runs down your legs and into your shoes. dragged in too. At this point you give up. water and the wet toilet seat. paper towel and walk past the line of women, still waiting. piece of toilet paper trailing from your shoe. "Here, you just might need this." used and left the men's restroom. purse hanging around your neck?" with a public restrooms (rest??? you've got to be kidding!!). about why women go to the restroom in pairs. A sliced Carrot looks like the human eye The pupil, iris and radiating lines look just like the human eye..
and YES science now shows that carrots greatly enhance blood flow to and function of the eyes. a left and right hemisphere, upper cerebrums and lower cerebellums. Even the wrinkles or folds are on the nut just like the neo-cortex. These foods specifically target bone strength. Bones are 23% sodium and these foods are 23% sodium. they look just like these organs. (modern science has only studied and named about 141 of them). the numbers of Sperm cells to overcome male sterility. actually balance the glycemic index of diabetics. shows that onions help clear waste materials from all of the body cells. They even produce tears which wash the epithelial layers of the eyes. Moral:there is none....just some more silly thoughts.....but, somebody has way too much time on their hands to compare vegetables and fruit to the human body????? June 2012 "Laugh Lines": " Housework can't kill you, but why take a chance go out with your SB sisters instead! Where did the glue go???? NEED AN ANSWER? You know good & well where it went! That's what makes the cake stick to our BUTTS!